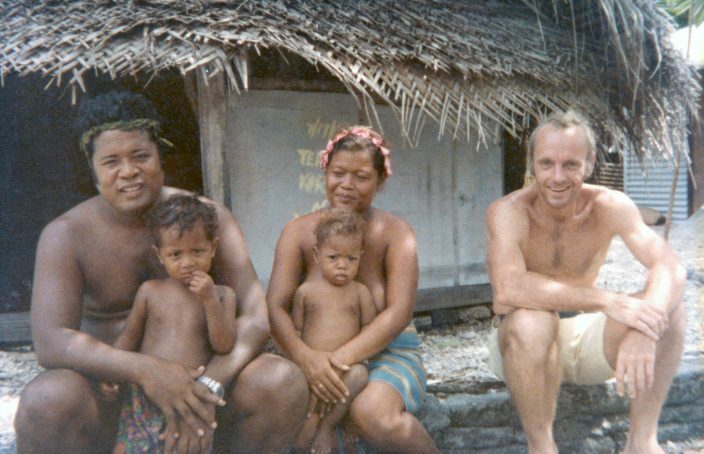 Playing Tourist: The early days of island tourism; my first visit to Ulithi, Yap. In the 1960s everything seemed possible. Want to grow a major tourist industry for a small island nation? No problem. Continental Airlines had just entered the region, bringing jets and the promise of a strong marketing campaign. “Feel the warmth of Paradise” was the slogan on the posters that were beginning to appear in Asian and American cities. Within a few years, Continental built its own hotels in Palau, Chuuk, and Saipan. People sometimes think that religious things come easy to those of us who are priests and sisters. But the truth is that we have to learn how to pray. People may think that prayer, which can be so boring and dry for them, is a garden of delights for the “pros”–those whose name is prefixed by the title Father or Sister. But even those of us who have been trying to pray for many years would never claim this. Signing a copy of When Cultures Clash: Revisiting the ‘Spanish-Chamorro Wars’. 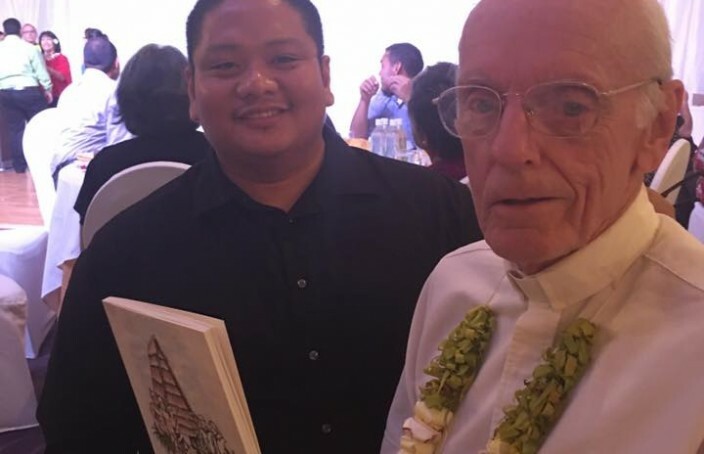 At a Christmas party thrown by the archdiocese on December 30, I was surprised when a number of people approached me holding copies of a booklet that had just been published and asked for my signature. It seems that the pastors and the heads of schools had received wrapped copies of the book at the party. For me the luncheon quickly turned into a book signing event. Giff Johnson’s latest work is a call to serious planning and more. The author summons leaders to recognize that life has changed in the Marshalls and the status quo is the road to disaster. 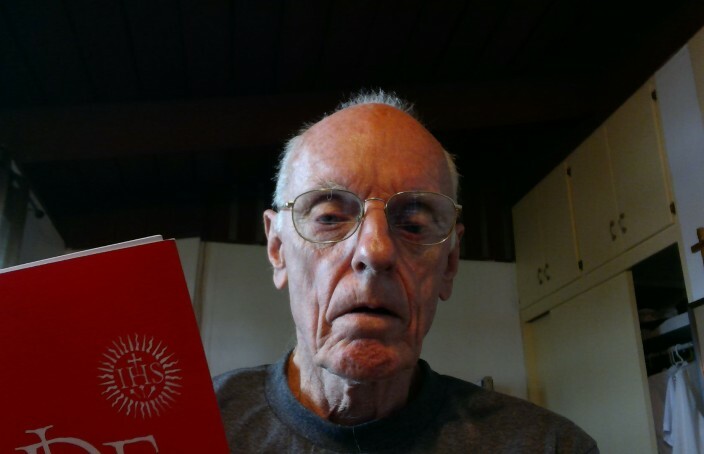 There was a time when this might not have been true–when people who wanted to kick back and live a simple island life could quietly opt out of school and retire to the family land to provide for themselves as their ancestors had done for generations in an island society that offered the resources, physical and social, to support its population. 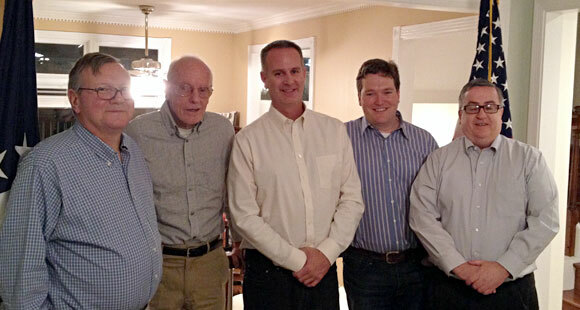 Staff Stephen Savage, and, from the Graduate School, Jason Aubuchon and Kevin O'Keefe. 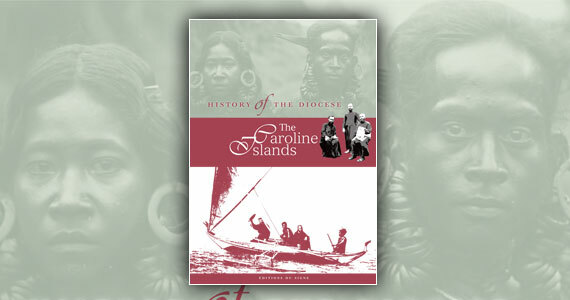 History of the Diocese: The Caroline Islands, is now available. 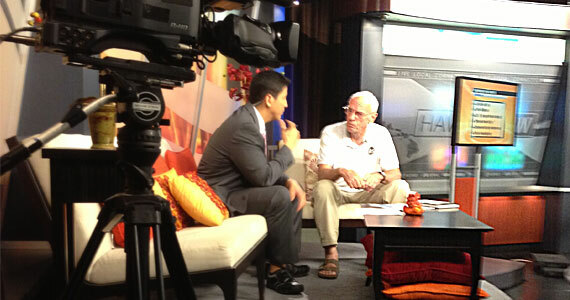 Father Francis X. Hezel, SJ, being interviewed in Hawaii for the television program "Sunrise: Hawaii News Now." That’s the question that I found myself trying to answer last week in Hawaii. 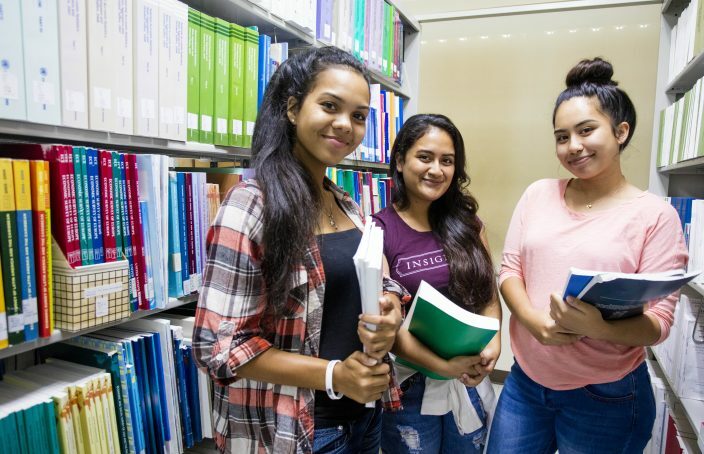 The “strange people” were, of course, Micronesians who have moved to Hawaii over the past years. 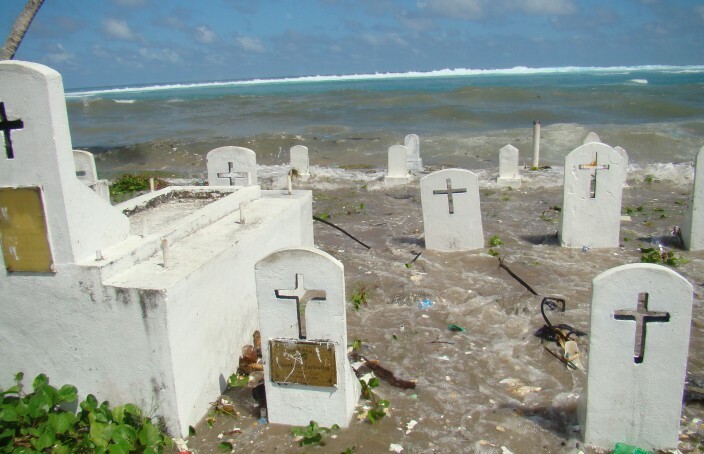 They include 8,000 FSM citizens, another 3,000 or 4,000 Marshallese and hundreds of Palauans.